We invite you to join representatives of Nanoscience Instruments and our partners KLA May 14th – 16th at Worcester Polytechnic Institute, Worcester, MA for a Nanoindentation Workshop. Invited talks from the wide range of applications including in the fields of lithium metal, biomaterials, material science, polymers, plus many more. This is a great opportunity to meet, share and network with other nanoindentation users in different fields of scientific research. 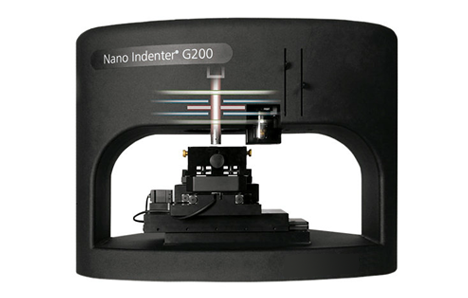 You will gain hands-on experience for the KLA nanoindentation products and how the design of the instrumentation delivers reproducible results because of the superior physics design. Workshop will be held in Salisbury Labs 115 with demonstrations in adjacent classrooms. The reception will be held in Higgins House Great Hall and Gardens. See below for additional details. Workshop space is limited, registration is on first come first serve basis and is required so that we may prepare for lunch and reception. Interested in bringing your own sample? Request your personalized demonstration time slot by registering below. 1:30 – 4:00 PM: Personal nanoindentation demonstrations available upon request. Please request time below. We will do our best to accommodate your schedule. 9:00 – 12:00: Personal nanoindentation demonstrations available upon request. Please request time below. We will do our best to accommodate your schedule. If you have any questions, please contact us at events@nanoscience.com with subject line: “WPI Nanoindentation Workshop” or 480.758.5400.